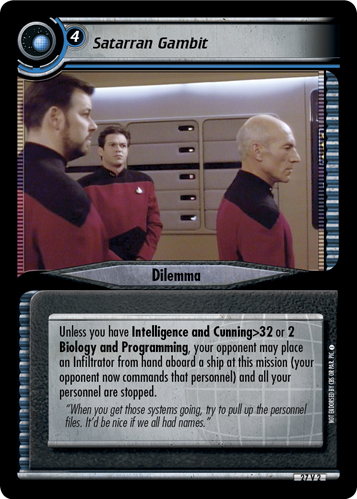 Randomly select two personnel. 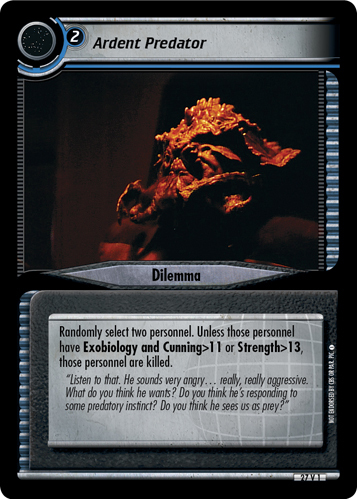 Unless those personnel have Exobiology and Cunning>11 or Strength>13, those personnel are killed. "Listen to that. He sounds very angry… really, really aggressive. What do you think he wants? Do you think he's responding to some predatory instinct? Do you think he sees us as prey?" Image Source: The Next Generation: "Genesis"